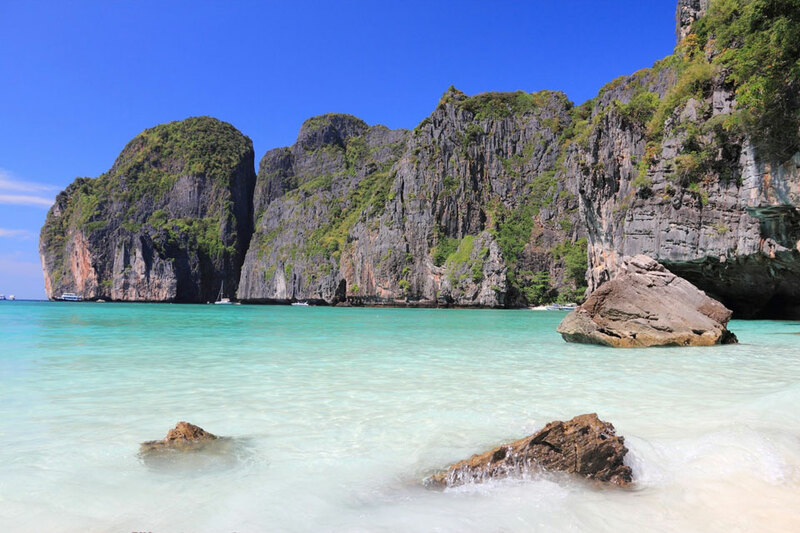 Phi Phi Islands are famous for their breathtaking view, cliffs, and white sand beaches. 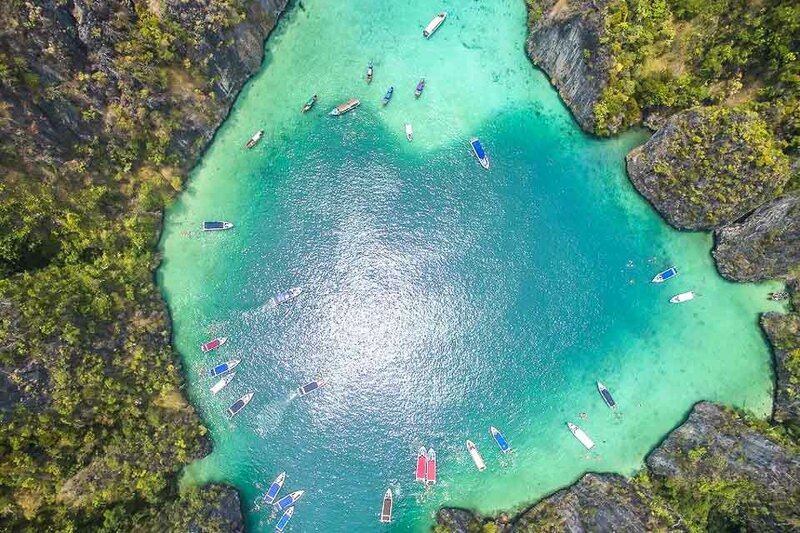 Phi Phi Islands day tour includes visiting the 2 biggest islands in the area, Phi Phi Don and Phi Phi Leh, as well as their smaller neighbours, Mosquito and Bamboo Islands, with beautiful beaches and coral reefs. The first stop on our Phi Phi Islands day tour is Maya Bay, the shooting location for the film “The Beach” featuring Leonardo DiCaprio. The bay is now closed for visiting with the aim to restore the marine environment. Nevertheless, seeing the place in its untouched beauty is an unforgettable experience! 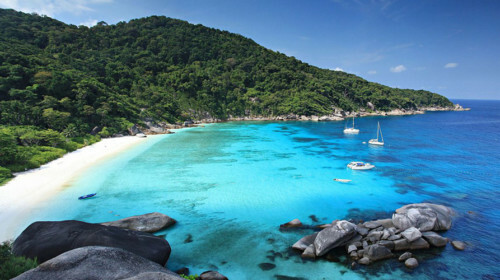 Continue the cruise to the beautiful bays of Pileh and Loh Samah. 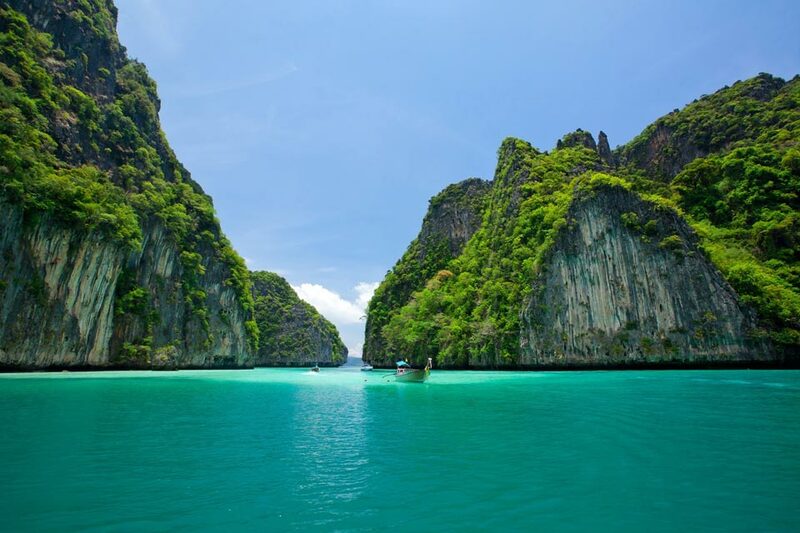 Hong Pileh is a stunning jade green lagoon surrounded by sheer cliffs and caves. One of them is the well known Viking Cave with ancient rock paintings of boats. 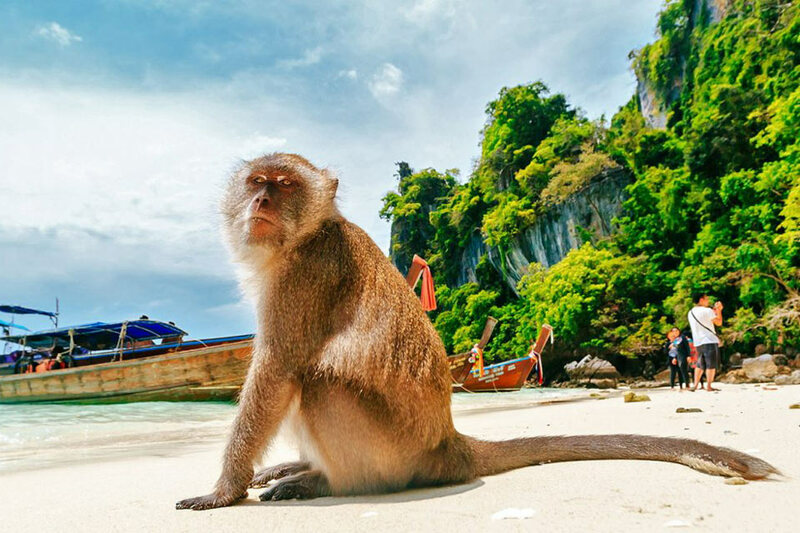 It’s time to explore the spectacular sights of Phi Phi Don Island. 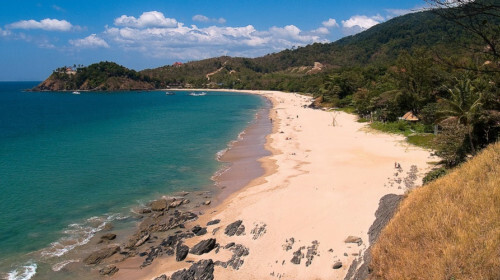 Step ashore to feel the white powdery sand of Long Beach or Monkey Beach. 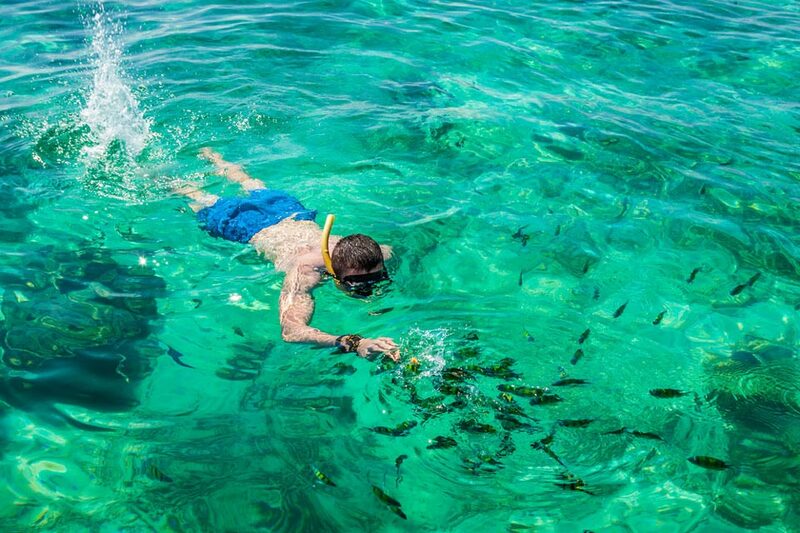 Try snorkeling at Nui Bay or Lana Bay. During one of the stops lunch will be served on board. As an option, you can dine ashore at the 5-star Zeavola Resort serving dishes of Thai and Western cuisine. 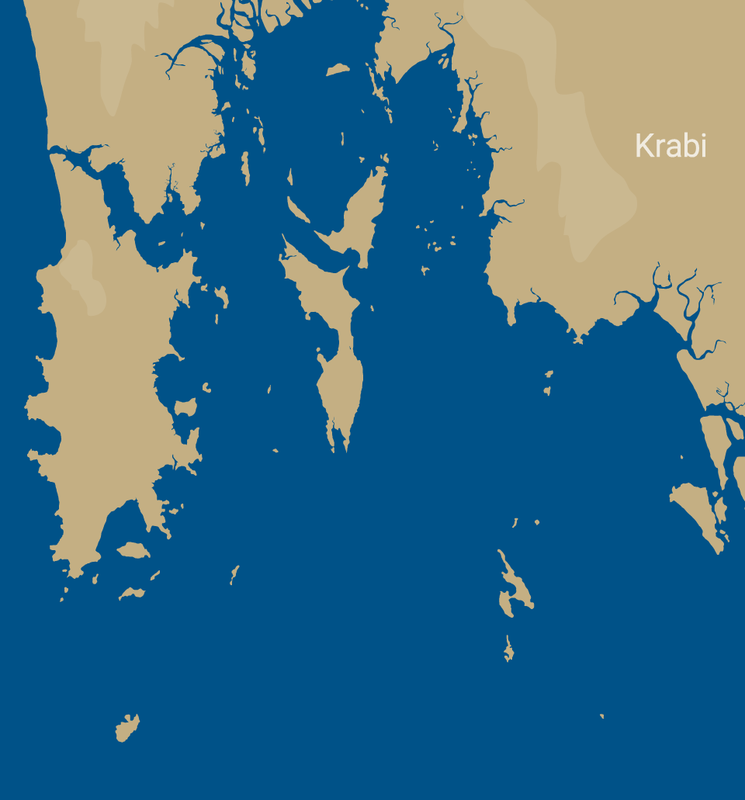 There are 2 more beautiful islands north of Phi Phi Don on our itinerary. One of them is a rocky island of Mosquito boasting rich tropical vegetation and a cosy beach surrounded by a coral reef. 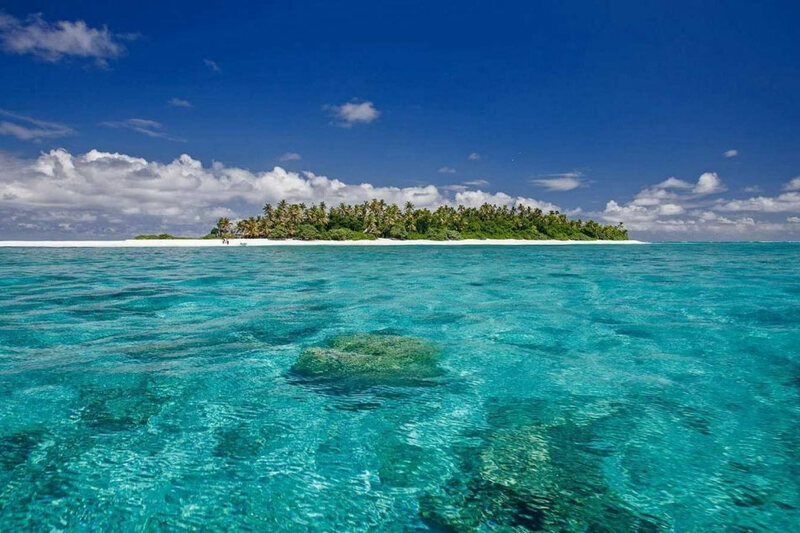 Another one is the island of Bamboo whose turquoise waters look so inviting and promise great snorkeling. Once you tick all the boxes on your Phi Phi Islands day tour it’s time to cruise back to the drop-off point at either Phuket or Krabi. 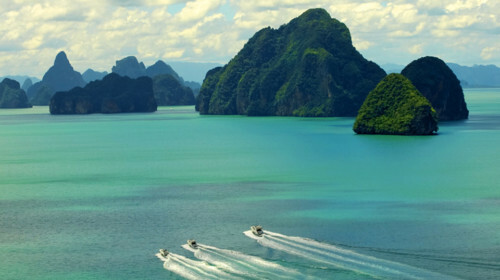 Contact Boat in the Bay to experience the Phi Phi Islands day tour by private yacht.